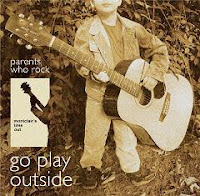 Go Play Outside: The debut CD from Parents Who Rock. Buy your copy now! 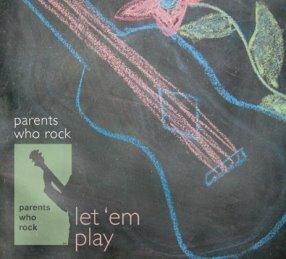 Let 'Em Play, the second CD from Parents Who Rock, is out now. 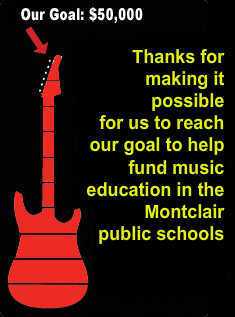 Proceeds from the sale go to benefit Little Kids Rock in Montclair. Click on the cover above for more information and a list of the fine retailers selling the CD. Parents Who Rock is an association of musicians with eclectic musical tastes and talents. The musical performances at Parents Who Rock concerts range from rock to blues, Brazilian Jazz to folk, punk to country. The musicians come from various backgrounds, and as such, offer musical perspectives that are as diverse as the artists themselves. The music of Parents Who Rock artists are both original works and covers of songs from established acts and artists. But each song is infused with the unique personality of the artists and groups performing it. Studio 12 Montclair: Open Mic Wednesday: Great live music! Trend Coffee and Tea House: Open Mic Every Thursday at 7:30 p.m. Studio Art Kids: Great kids art classes, great house party shows! Thanks for helping us reach our goal! We would like to thank Elizabeth Uva, John Paul Uva, TheMarksmen.net and TriAgency.com for their contributions to building and maintaining this website.